It’s been two years since Apple courageously removed the headphone jack from the iPhone 7, and it’s certainly taken its lumps over it. But Apple stuck to its guns, and today you can pretty much count the number of mainstream Android phones with a 3.5mm jack on one hand. What that means is that most of OnePlus’s customers have wireless headphones. According to Pei, nearly 60 percent of OnePlus customers are already using wireless headphones, based on a survey taken before OnePlus released its excellent $69 Bullets Wireless earbuds last year. So that number might actually be a little higher. Still though, some 40 percent of OnePlus’s customers aren’t using wireless headphones, which means a lot of grumbling. For those users, OnePlus will be releasing a USB-C version of its Bullets earbuds with a new DAC implemented by Ciruss Logic. OnePlus says it has “made several big improvements and changes to the Type-C Bullets to deliver a crisp and powerful sound.” OnePlus sells the 3.5mm Bullets V2Remove non-product link for $20 and doesn’t include a pair in the OnePlus 6 box. While OnePlus hasn't announced a release date for the 6T, it's expected to land sometime next month. The company previously announced that the 6T will be one of the first phones to include an in-display fingerprint sensor. Pei also teased the possibility of better battery life "substantial enough for users to realize." But whether longer time between charges or the new Bullets makes up for the loss of the headphone jack remains to be seen. USB-C headphones are a persnickety lot, so we’ll have to wait and see how they perform on the 6T and other Android phones. But one thing we know for sure: the days are numbered for one of the only remaining phones with a headphone jack. Why this matters: One of OnePlus’s greatest strengths is catering to Android enthusiasts on a budget, so some buyers are going to be miffed by this decision. 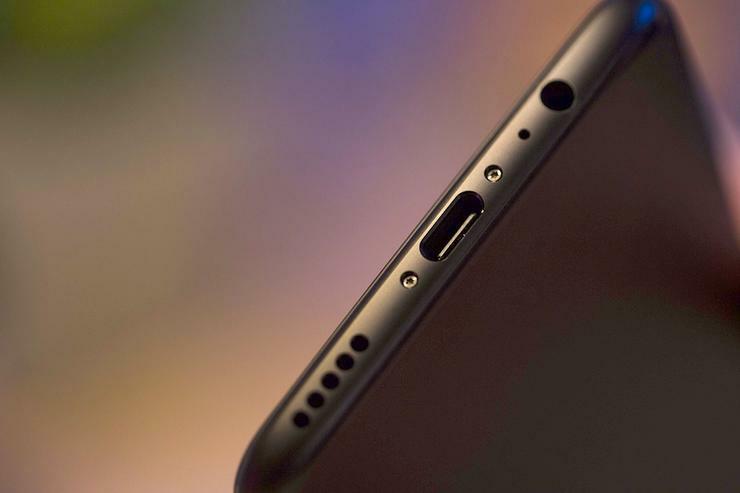 A new USB-C version of its Bullets headphones will help—especially if OnePlus included a pair in the box—but some people are going to hold on to their OnePlus 5T and 6 as long as they can. And with the rumor that OnePlus will begin selling its phones in T-Mobile stores, keeping the headphone jack could have given it an edge over other premium phones.